We would be happy to take your reservation by phone or through our website. To check our bed and breakfast availability and make a reservation, please utilize the Check Availability button and that will refer you to our Webervations program If you use our online reservation system and do not get an automatic email in return please call us right away. 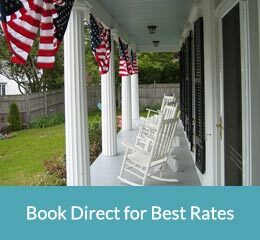 Please note, the Liberty Hill Inn Bed and Breakfast reserves the right to hold certain rooms for minimum night stays depending on the flow of reservations for a given period of time. During peak season we require a three night stay on weekends and a two night stay on weekdays. A three night minimum for most holiday weekends applies during all seasons. Short stays can be available at times when holes in the between reservations exist. Make sure you check online or with us to see if we can accommodate you. We also maintain a waiting list for shorter than the minimum stays. We do accept children 7 years of age or older. If there is an extra person in a room that permits it there is an extra $50.00 charge per extra person. All rates are per room, per night, based upon double occupancy. The State and local tax (14.45%) is additional. Rates include a full, gourmet breakfast and afternoon refreshments. Master Card, Visa, American Express, Discover, Traveler’s Checks and Cash are accepted. Once a deposit is made to reserve a room(s), the room(s) is guaranteed for the entire stay, regardless of the deposit, and guests are responsible for the total balance of nights reserved. If cancellation is more than 14 days prior to the arrival date (or more than 30 days for stays of 7 days or more or for multiple room reservations), a full refund is made less a $30.00 service charge (per room reserved). If cancellation is 14 days or less (or 30 days as noted herein), a refund is subject to re-rental of the accommodations without loss to Liberty Hill Inn.